Patient communication in cosmetic dentistry is paramount for proper informed consent. Inadequate communication can result in time-consuming, costly litigation. This novel technique adds a new dimension to patient communication and informed consent. Over the years, Dr Terry has given numerous hands-on courses that have been described as "the Douglas Terry Experience". 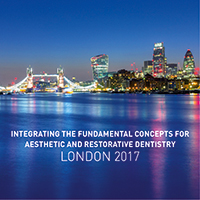 These courses have been well attended by leaders in the field of cosmetic dentistry. This is your opportunity to experience such a course yourself. Remember to bring your enhanced vision (magnification loupes) and get ready for an exciting experience. • Discover a predictable and precise method for developing anterior composite veneers. • Understand and explore the significance of colour mixing for creating polychromatic lifelike restorations. • Appreciate the myriad of applications of the injectable technique. • Understand how an improved biomaterial, together with this revolutionary technique, can enhance patient communication and your practice of dentistry.